City developers can utilise payments data to tailor their services to the wants and needs of consumers. Demand for the development of smart cities has steadily grown in recent years. Loosely defined as an environment where data collected from inhabitants and their behaviours is used to introduce and improve efficient services and amenities, the appetite for smart cities continues to expand; from the technology companies who want to develop them to the consumers and businesses who want to benefit from them. The interest in smart city development has increased so far this year. Recently, Indian city, Shillong, was selected by Smart Cities Mission as the 100th smart city to be developed, while a study from BCC Research projects the smart city IT market will grow by 15.8% annually over the next four years. 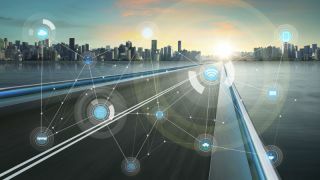 But, alongside widespread demand for smart cities, there is also widespread recognition that the current approach to smart cities needs to evolve. Why? Well, to date, most smart city initiatives have been heavily data-driven projects, typically based on data gathered from IoT sensors and devices located everywhere from railway tracks to retail outlets. This data can be analysed to identify solutions that can streamline and optimise many aspects of city life; transport schedules, road congestion and much more. But as cities such as Barcelona are finding, there’s more to making cities smart than simply installing a host of technology systems and waiting for the data to flood in. This is because there’s a big difference between what people are currently doing and what they actually want to do; after all, they can only use the infrastructure and services that they’re offered and cannot wish new ones into existence. There are already examples of better sources of data than those preferred previously, that indicate a different approach to smart cities may result in greater success e.g. look at what Citymapper has done in London. By identifying a gap in the transport network from its app-generated consumer data and creating a new bus service to fill that gap, Citymapper demonstrated that smart analysis of relevant data has the ability to generate warranted, legitimate services that are not yet available. Thanks to its open data strategy, that service soon appeared on Google Maps, quickly making travellers aware of its existence. By using its own data creatively and sharing it with the world, Citymapper created something that London’s own transport infrastructure wasn’t providing; a great example of a smart city initiative from an unlikely source. Payments data is, of course, affected by some of the same issues that have blighted previous smart city data analysis, because people can only spend money on the things that already exist. But one big difference of payments data is that it has a clear elective component. People may only have one commuting option, but they have a variety of payment options; and the one that they choose can tell you a great deal about who they are and what they might want. Credit cards, mobile wallets, and pre-paid cards all have very different demographics and usage patterns, and Paysafe’s recent Lost in Transaction research demonstrates emerging payment methods are set to further complicate the market. For instance, 18% of consumers expect to use frictionless payment apps within two years, while 22% expect to adopt biometrics for payments. So, understanding who used what, when, and what for, can be a powerful tool in planning future services, rather than simply relying passively on monitoring of choices made from default options. The same is true for digital alternative payment methods. Through examining data generated by consumers who use cash to make payments online via a digital wallet services or prepaid cards, including geographic location (e.g. the most frequented outlets) city developers can tailor their services (and payment methods for those services) in accordance with the preference and characteristics of those consumers, adding another contextual layer to the crucial insight of the city’s inhabitants. These factors, coupled with the huge volume of data generated by payments which are integral to consumers’ everyday lives, make payments platforms important drivers for new growth and innovation in cities everywhere. Payments data tells us where people are spending their money, what they buy, and which neighbourhoods are thriving or failing. It tells us how much people spend on everything from food to travel, to fuel, and where they spend it. And of course, it’s at the heart of highly disruptive, game-changing services such as Uber and Airbnb. Looking at payments data tells innovators not just what someone did and when; it tells us what they were prepared to pay for that service and, crucially, what they did next. In this respect, payments can be described as the breadcrumb trail of the digital world, and therefore an ideal foundation for building bottom-up organic smart city services, rather than the top-down, rigid, infrastructure-heavy services that have characterised most smart city pilots to date. There is already a recognition in some quarters that payments data provides valuable insight into the habits, needs, and wants of inhabitants. In 2018 we will see more smart city projects turn to this data in search of better solutions. By watching trends carefully and inferring actual consumer desire rather than making assumptions about behaviour, smart city developers can begin to build relevant and useful services for citizens in residential neighbourhoods, whilst helping to boost local business at the same time. Ultimately smart cities, in the same manner as the cities that they are destined to replace, will develop in their own unique and unpredictable directions. When the dust settles, no two smart cities will be the same, and no two will have taken the same path to get there. However, inevitably there will be identifiable common characteristics of successful smart cities, and preferred data sources that will underpin them. Payments data is quickly emerging as one of the key building blocks in smart city development. The ubiquitous nature of payments enables it to create far richer and more powerful insights than current prevailing source. Couple this with the ability of payments data to pinpoint consumer preference without the need to implement addition data capture infrastructure and the potential for payments in smart cities is without doubt.